Beautifully Remodeled Home- 3 Blocks to Beach! 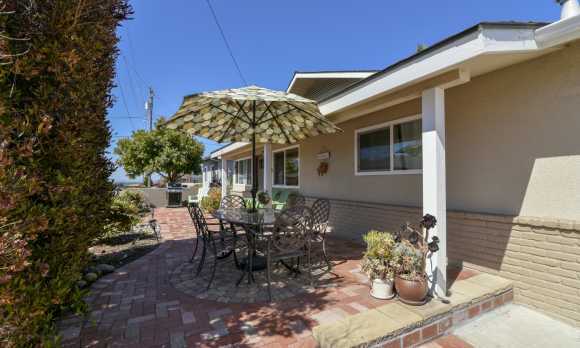 Managed by Beach-N-Bay Getaways this 3 bedroom, 2 bath home can sleep up to 8 guests and accepts 1 large or 2 small dogs. This beautifully decorated home features lots of open living space, private bedroom retreats with comfortable beds and a very well-stocked kitchen. The owners have spared no expense to ensure that their guests are delighted with the beauty, functionality and comfort of the home. All the rooms have been tastefully decorated with interesting art pieces and arranged to make it really feel like your “home away from home.” When you enter the home, you will be instantly impressed with the openness and flow of the home. There is also a nice front patio area with a Weber barbeque and comfortable patio furniture if you want to hang out outside. This is a dead-end street so you will have lots of privacy when you are on the patio.